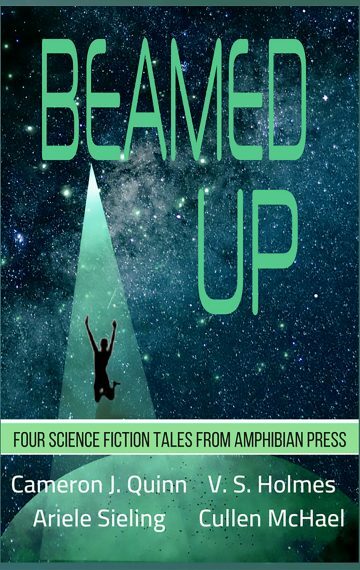 Enter the strange, dark worlds of four science fiction authors in this anthology from Amphibian Press. Jack is a Digger, dumping dirt into the massive, mysterious Hole day after day. When she is summoned to the Stalk, a looming space elevator, however, she fears the worst. After all, every Digger summoned to the Stalk leaps to their deaths. This short story is a chilling science fiction retelling of Jack and the Beanstalk. When Zurik steps in to help an abductee, he finds an unlikely ally on the spaceship. Back on earth, however, his new friend finds himself on the examination table. “How to Abduct an Alien” is set in the Starsboro Chronicles Universe several years before Episode One. 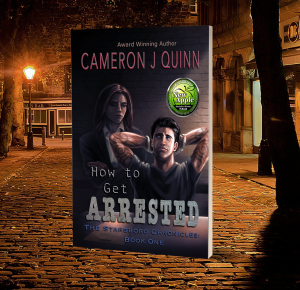 Max knows the seedy underbelly of espionage like the back of her hand–especially the black market “cannibals” who trade in upgraded human body parts. Now she wants out. But the only woman she can turn to for one last job may be the last person she should trust. Lin’s newest mission turns from glorified babysitting to a web of conspiracies, violence, and complex cultural heritage and she must choose between her brother’s order not to get involved and the lives of the archaeologists she has put in danger. “Disciples” is set in the Nel Bently Universe and takes place simultaneously with Travelers.